I am having too many eyeliners right now. 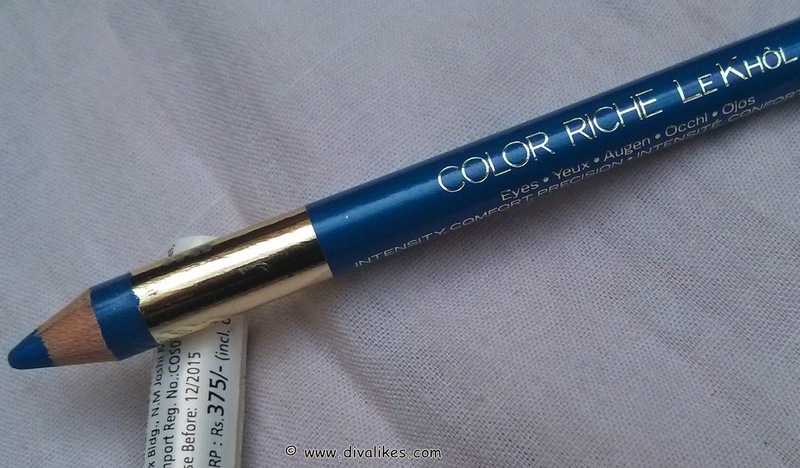 All thanks Diva Likes for sending me such great products. One such great product sent to me is L'Oreal Paris Color Riche Le Kohl Portofino Blue. 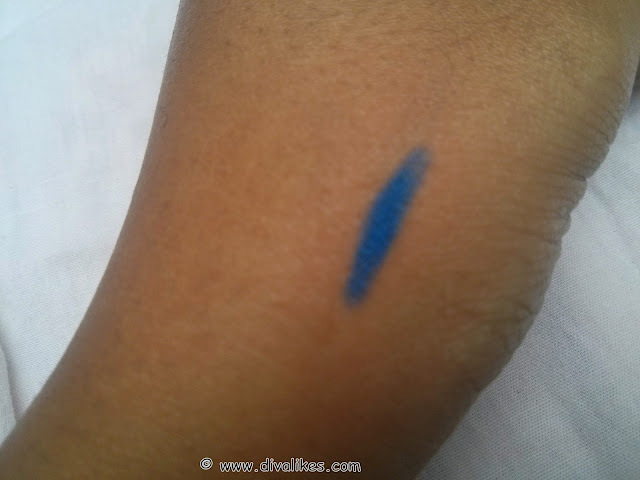 Like I had mentioned in one of my previous reviews, I am not a fan of pencil eyeliner due to the need for sharpening. I feel it is a waste of time and product. 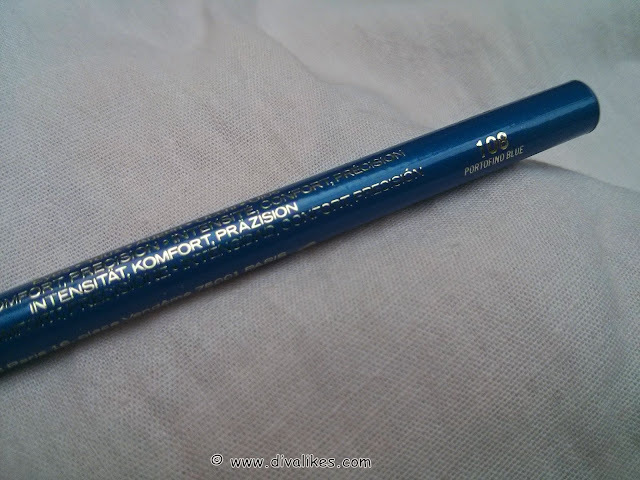 But when you get such pretty shade only in pencil form, you have to surrender. That's what happened to me with this product. Read on to know out why! L'Oreal Paris offers this '108 Portofino Blue' Color Riche Le Kohl that will help in defining your eyes and making them look even more beautiful. 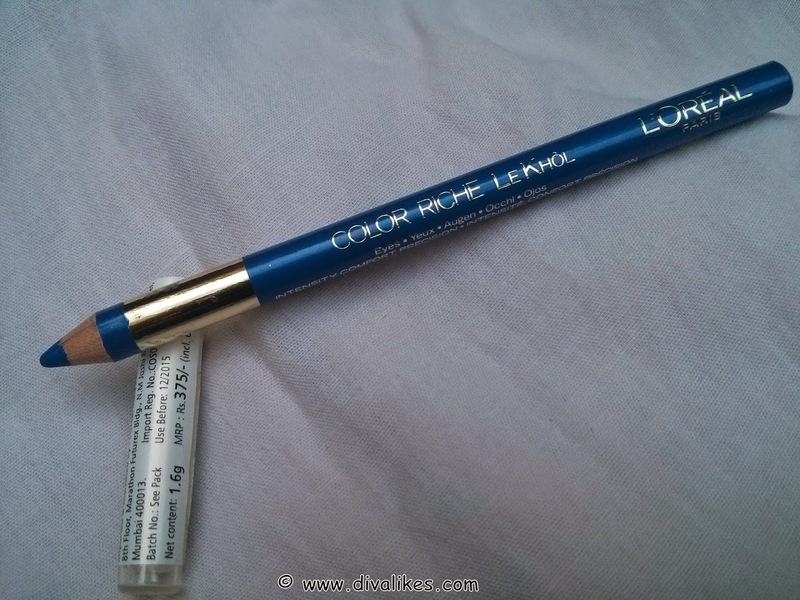 Ideal for daily use, it is smudgeproof and will deliver intense colour in a single stroke. Apply this eyeliner along the lash line. 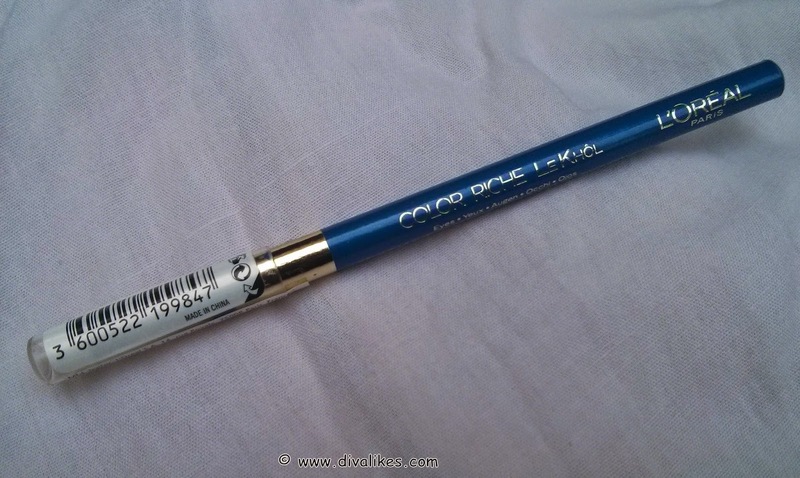 L'Oreal Paris Color Riche Le Kohl Portofino Blue comes in a blue colored pencil package with a see through plastic cap. The texture is smooth and creamy, just enough for smooth application without tugging and not much breakage problems. Sharpening the product does cause breakage. I feel this could have been controlled by providing a sharpener along with the product. Portofino Blue shade is a mix of blue and indigo, almost like the sky which starts clearing after heavy rains. The shade is light yet bold. It is a pleasant color and will give you a wonderful look to your eyes. This will add beauty to you in your evening parties. 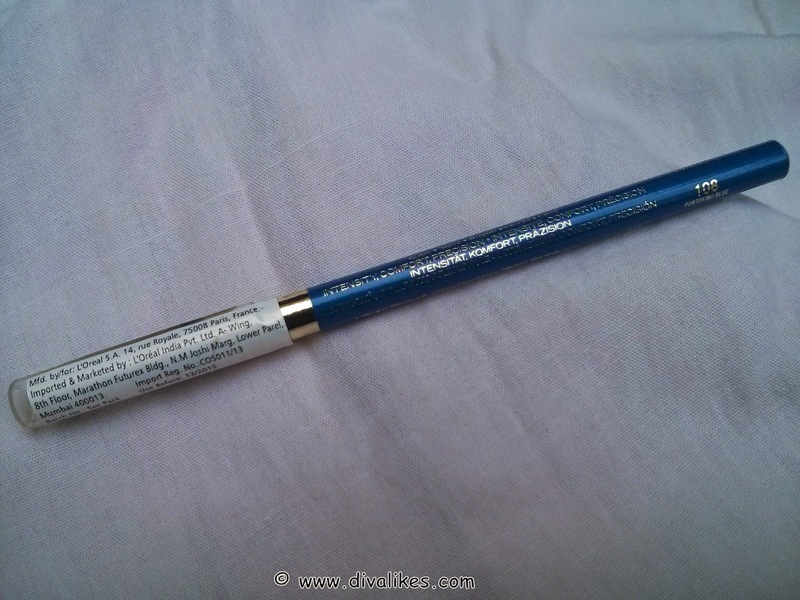 It does not contain any glitter or shimmer particles. The shade like I had mentioned before is light and needs more than a few layers to bring the dark opaque finish. 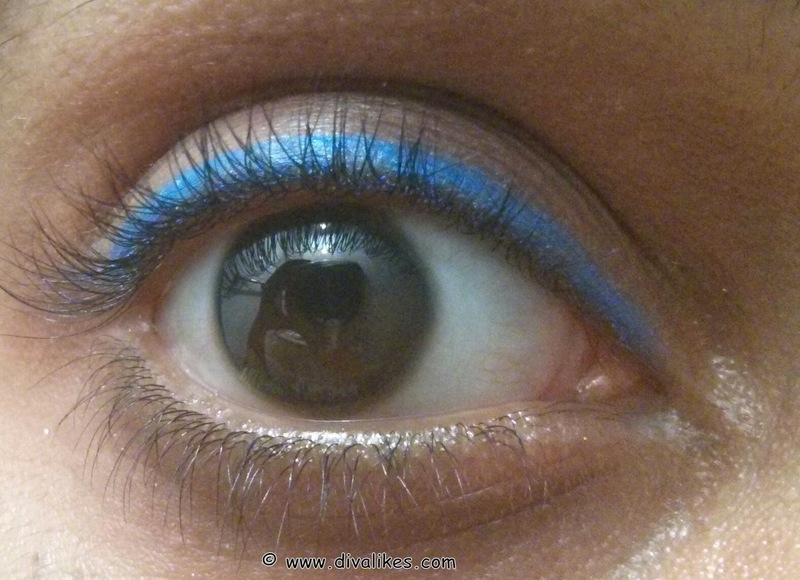 I generally fancy eyeliners which have opaque and dark finish. I feel the darker the shade, the prettier it looks. Coming to the staying power, it is quite disappointing. All great products come with a certain con and here it is. It hardly stays for 2-3 hours and then starts fading off. I really wish it stayed longer as that would have made it the best! Portofino Blue is a beautiful shade. The texture is smooth and creamy. Looks beautiful on the eyes and apt for evening wear. Does not contain shimmer, hence good for sensitive skin. Wastage of product due to sharpening. If you put aside its staying power, this is a good product. 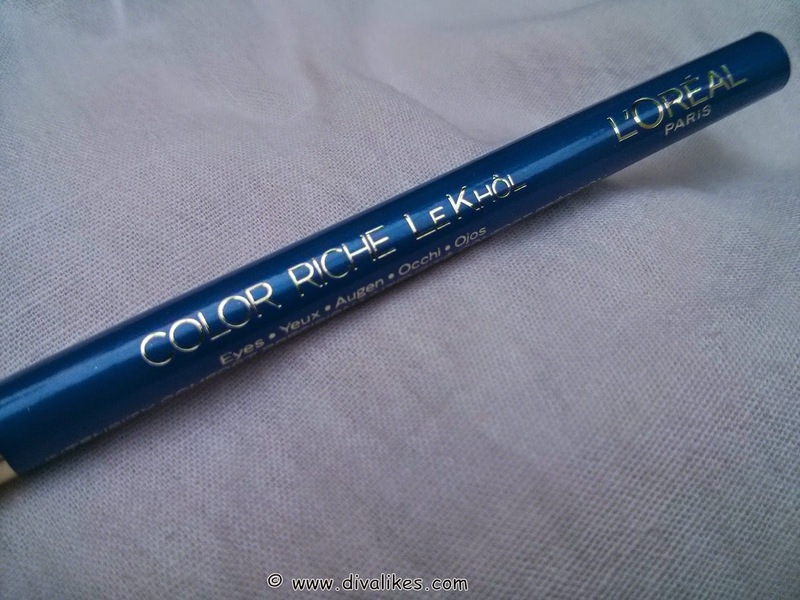 If L'Oreal comes up with an improved version with more shades, then there is nothing better! Sad to know about its staying power...but I love the color! It's beautiful. But I really wish it stayed longer. Looks good. Will give it a shot! Color looks lovely but sad its not long lasting.. Yes Divya :( Everything comes with a 'but'. Pretty shade ..I love it too..